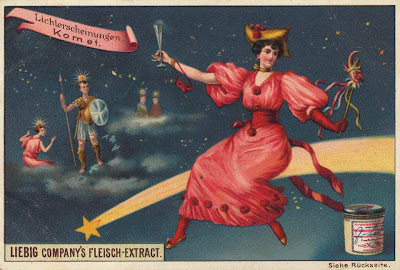 I'm not sure what beef extract has to do with fine printing or partying, but it seems to be the common thread for all of these trade cards featured here. 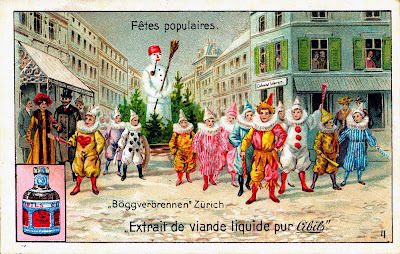 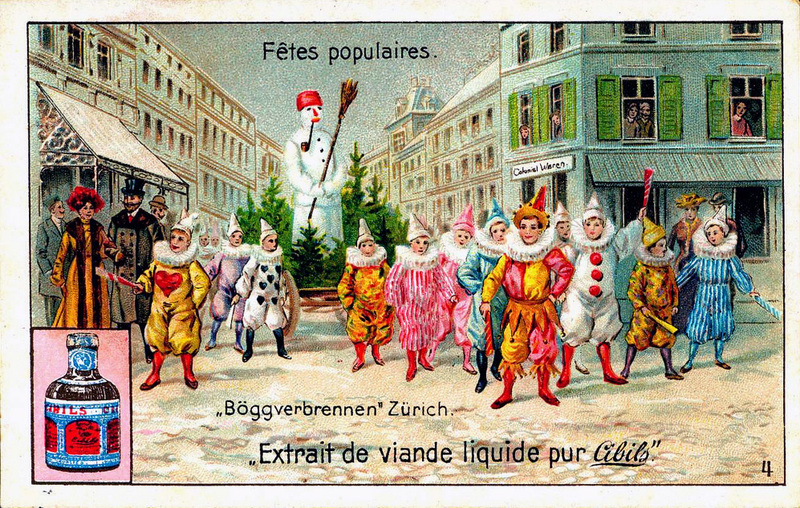 The Fêtes Populaires series above are Belgian trade cards from 1899, advertising Cibils Beef Extract. The 3 cards below are from the more familiar chromolith series advertising beef extract from the Liebig company who invented it. 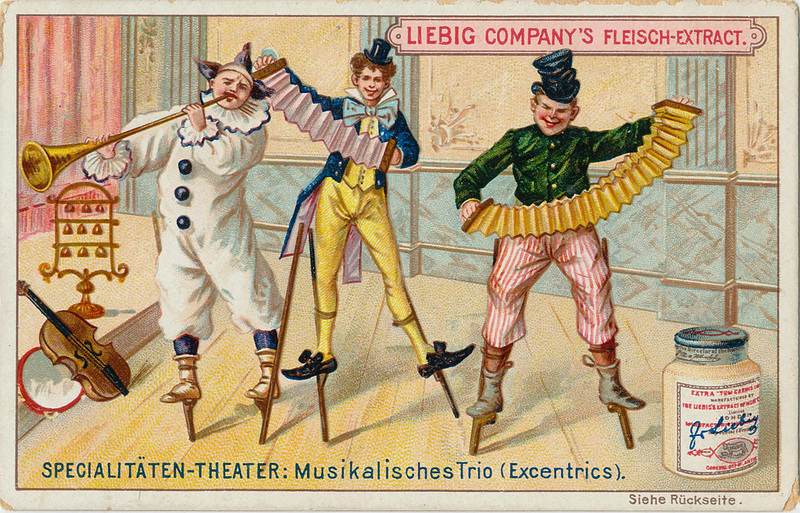 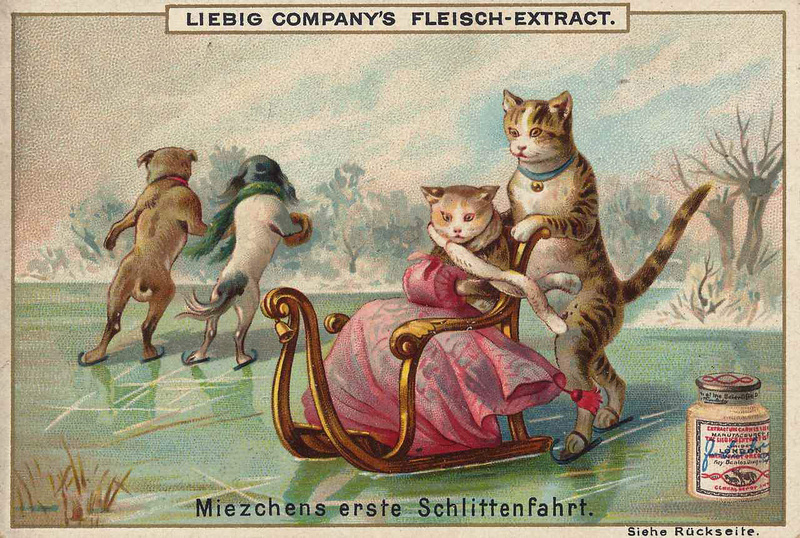 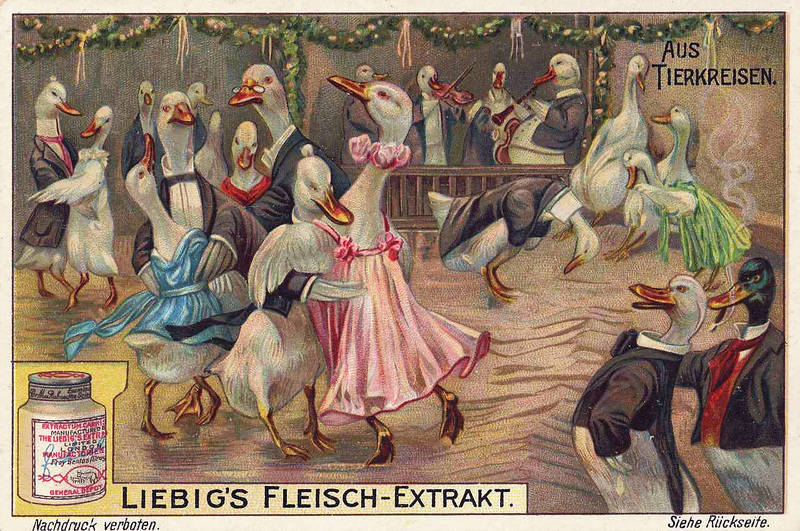 (See my previously written post about a very popular series of 6 Liebig cards about chromolithography here). 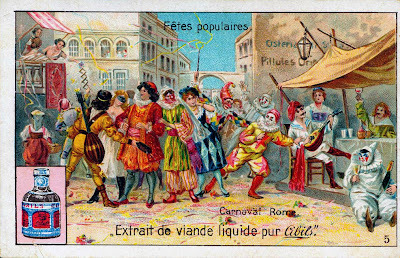 The Fêtes Populaires series of trade cards above are from cigcardpix and the wonderful series below is from janwillemsen's flickrstream. Both have extensive collections. 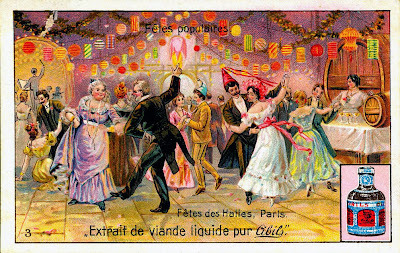 A Happy and Safe New Year to you!